I am a teaching hospital consultant at Peterborough City Hospital and Addenbrooke's Hospital, Cambridge. I specialise in both adult and paediatric ENT surgery. My specialist interest is thyroid disease and head and neck cancer. My practice includes treatment of all ear, nasal and throat problems including cosmetic reshaping of the nose. 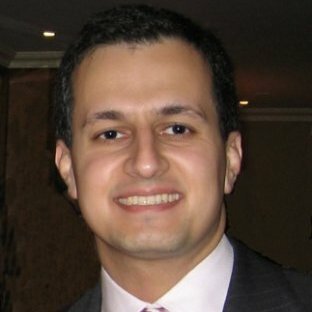 I was the international head and neck and thyroid cancer surgical fellow at the Institut Gustave Roussy, Paris, France’s national and international referral centre for head and neck cancer and thyroid cancer and was awarded the Diploma of Head and Neck Cancer Studies at the University of Paris. I studied medicine at St. Bartholomew’s Hospital, London followed by training in ENT at the Radcliffe Infirmary, Oxford. I was a Specialist Registrar in the North Thames London Rotation based at the Royal National Throat Nose and Ear Hospital, Royal Marsden Hospital and Great Ormond Street Hospital, London. I completed genetics research at the Hammersmith Hospital, London, and was awarded a Masters degree in Surgical Sciences from Imperial College, London. My main research interests are translational genetics cancer research allowing for personalised cancer treatment. I am currently leading a multicentre cancer study based at the Royal Marsden Hospital, London. I am married with two young children. I enjoy travelling, graphics design and modern architecture. Mr Amen is recognised by all the major health insurers including BUPA, AXA PPP, Aviva, Cigna, WPA, Vitality Health, Beneden, Simply Health and others. He adheres to their prescribed fee schedules.